Advent began on Sunday 30th November. It is the beginning of the new church year. We are preparing for Christmas and the birth of Jesus. 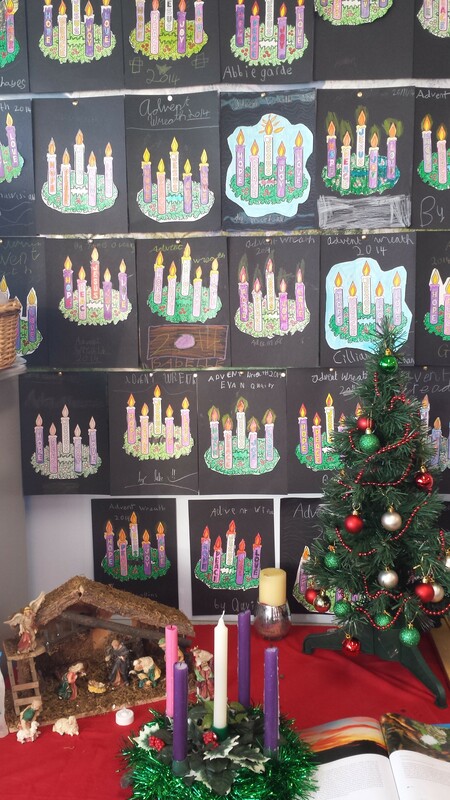 In our religion lesson, we found out about the advent wreath and the meaning of it. We have a wreath on our sacred space in class. Everyone got to colour in their own wreath and we displayed them on the wall behind our sacred space.